We sing, talk and distribute gifts to the most needy and if they have questions regarding faith or God, or if they want us to pray with them, we are ready and happy to help. Our priority is the relationship with them and as we repeat our visits, we gain friendships which are of great significance in the long run. Churches, congregations and organisations in Faroe Islands, Iceland and Sweden. 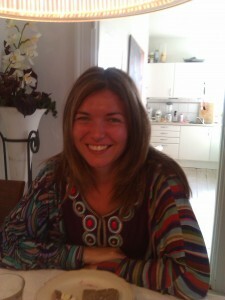 Lena M. Løbner is founder and daily manager of Hope for All. She was born and raised in Africa and later Denmark and have been a musician since the age of 15. Lena has many years of experience with helping people on all levels and has produced many cd’s with her own songs and she has written 2 books. Lena has two daughters and two grandchildren. 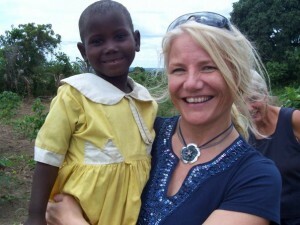 Betina Anker-Wiik has a long experience with volunteer- and organisational work. She founded a youth church in Copenhagen some years ago, which grew to 150 people. She has been on many boards and today she and her husband, Frank, lead a family church in Frederiksberg, Copenhagen. Betina Anker-Wiik also works as a coordinator and a speaker in many foreign nations. She is married to Frank and together they lead Copenhagen Family Church. Hanne Dalgård has great experience with union-, volunteer and organisational work through many years. She founded the organisation; Women in Service. She publishes the Network Magazine, whos purpose is to equip and encourage woman as well as create a network for serving women across Denmark, from different churches and communities. The magazine is read by both women and men. Hanne is married to Paul, a businessman, and together they have three children and many grandchildren.